First of all, Happy Lunar New Year. We hope this message finds you well. We are sorry to update you less frequent. We have been working very hard in providing a new experience of financial services in the creative ecosystem. Fast, Simple, Customer autonomy and yes, Decentralized. These key concepts will become the core value that we are going to deliver to the creative industry. In 2019, we aim to achieve consistent growth in our project despite any market conditions. We have established strategic directions through (1) strategic partnership development (2) vital exchange listing and (3) strategic product development milestone. Doubtlessly, SIX Network is establishing a new Digital Banking Ecosystem. We have built a strategic partnership with Krungsri Consumer, a leader in the credit card and personal loan businesses in Thailand. 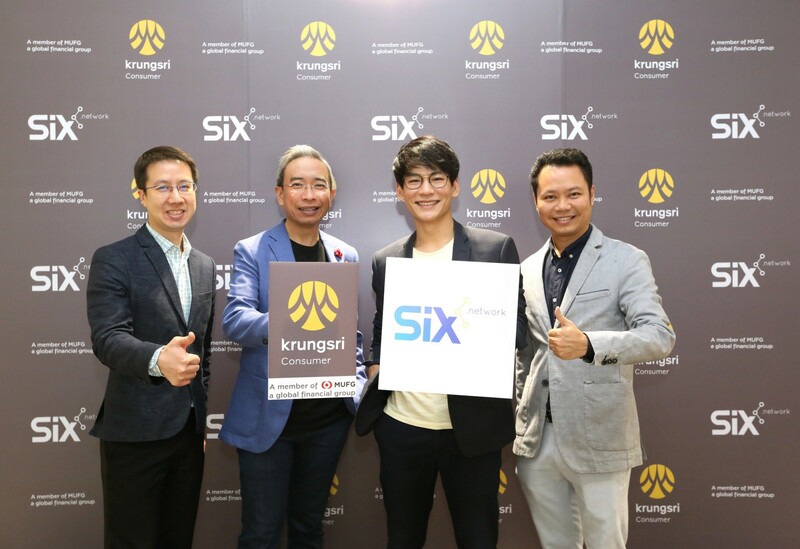 Under this partnership, Krungsri Consumer will be the loan provider in our ecosystems. 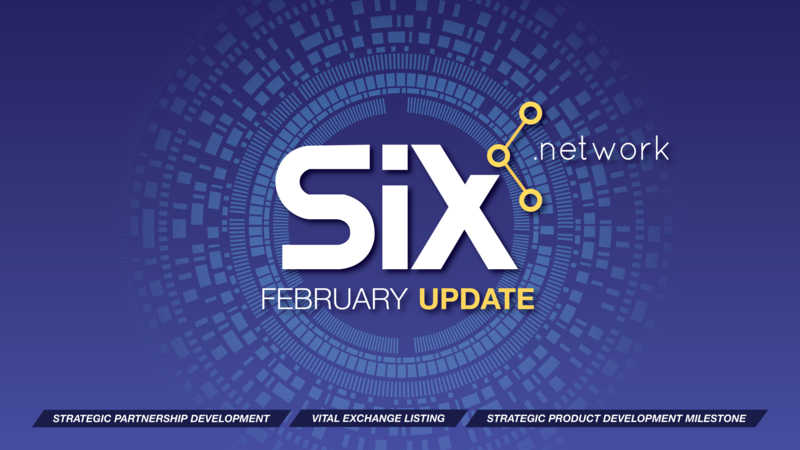 Using information-based lending service, SIX Network will facilitate the information to be used to provide credit facilities as well as other future financial products to creators in our ecosystems. The collaboration aims to help the new generation of freelance professionals and to support the Creative Economy in Thailand. The kick-off meeting was launched earlier in January and the entire milestone with Krungsri Consumer will be updated soon. Earlier in January 2019, we have established media partnerships with Asia Blockchain Review, and Beecast. ABR is the most significant initiative for media and community building in Asia for blockchain technology while Beecast is the media that helps connect China to Southeast Asia. We had an interview session via Beecast’s wechat group, of which 80% of the audience are Chinese crypto investors. Also, a quick update on CPDAX Korean Exchange — we just added another pairing SIXBTC at CPDAX on 29th January. Later in January our marketing research team have conducted a UX/UI research for our new application with the target group aging from 12 to 20. The team let the target use our prototype application and whether they are familiar with virtual money or cryptocurrencies.. The research showed that 95% of the target group have a keen interest to use crypto money in exchange for consumer goods with no hesitation about the trust issue. The team also plans to do more UX/UI research with the adult group later in February. Also of note, we are planning to launch SIXR (off-chain wallet) to store cryptocurrency and use it for investments. This could be the first blockchain wallet for the younger generation. Users will also be able to invest from their crypto-deposit money provided by a partner of SIX. Connect with the Financial Institute and OTC services provider. Soon, we are aiming to launch the Credit and Debit card that can bring cryptocurrency into the market legally. Expand and grow with 12 million active users in the other platforms that enthusiastic to adopt SIX into the ecosystem in Southeast Asia and Korea. Collaborate with the regulator, to legalize the blockchain in the term of securing digital asset and protect the intellectual property for the creator and creative industry. In this year, we firmly believe that it is got to be a big year for us. We are focused on the goal to deliver what we promise to our investor before. We are gratitude your support since the beginning of our journey. Please stay tuned for our significant move of what we have built to change the creative economy.